The University of Maine Art Collection was established in 1946 under the leadership of Vincent Hartgen. As the initial faculty member of the Department of Art and curator of the Art Collection, Hartgen's goal was to provide the people of Maine with significant opportunities to experience and learn about the visual arts and their diverse histories and cultural meanings. 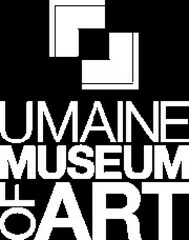 In 1988, the University Art Collection became the University of Maine Museum of Art. Through the cooperative effort and vision of the City of Bangor and the University of Maine, the museum relocated in December 2002 to downtown Bangor where it has taken on a new role as a regional fine arts center. The facility was designed by the Boston firm, Ann Beha Architects, an now occupies the first floor of Norumbega Hall, a historic downtown building that formerly housed a department store. The Bangor facility, while allowing the museum to showcase a greater proportion of its collection, also enhances the burgeoning arts scene of the region's largest city. The Museum of Art remains the only institution owned by the citizens of the State of Maine to house a permanent fine arts collection - one which has grown to a stature that makes it a nucleus in the state for historic and contemporary art. Consisting of more than 6500 original works of art, the collection is particularly strong in American mid-20th century works on paper. The museum's permanent collection celebrates the long heritage of Maine art and artists; including works by artists such as Berenice Abbott, Marsden Hartley, Winslow Homer, John Marin, Carl Sprinchorn, and Andrew Wyeth. In addition to making the University's collection more accessible to the public, the downtown location enables the museum to expand its educational programs beyond the confines of the Orono campus. The Museum of Art hosts an annual calendar of exhibitions featuring contemporary artists and ideas, as well as programs such as The Vincent Hartgen Traveling Exhibit/Museums by Mail, a program began in 1946 to circulate art throughout the state, art camps for children, and noncredit educational opportunities for adults.